Nourish the family - The 1kg range will nourish the family or friends table. Alternatively, use for batch cooking and freeze for a later date. 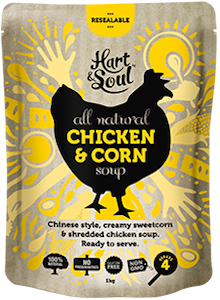 Chinese style, creamy sweetcorn & shredded chicken soup. 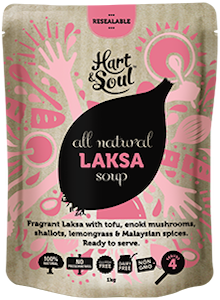 Fragrant Laksa with Tofu, enoki mushrooms, shallots, lemongrass & Malaysian spices. 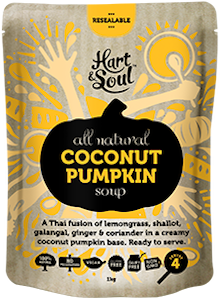 A Thai fusion of lemongrass, shallot, galangal & ginger in a creamy coconut pumpkin base.